If you’re lucky enough to be planning an Italy vacation this year, whether it’s your very first visit or a return trip, make sure to include a visit to Venice! YYou’ve no doubt heard all about the Grand Canal gondola boat tours that wind through the ancient waterways of this splendid old Italian city, but there are so many more reasons to holiday here along the stunning Adriatic Coast. 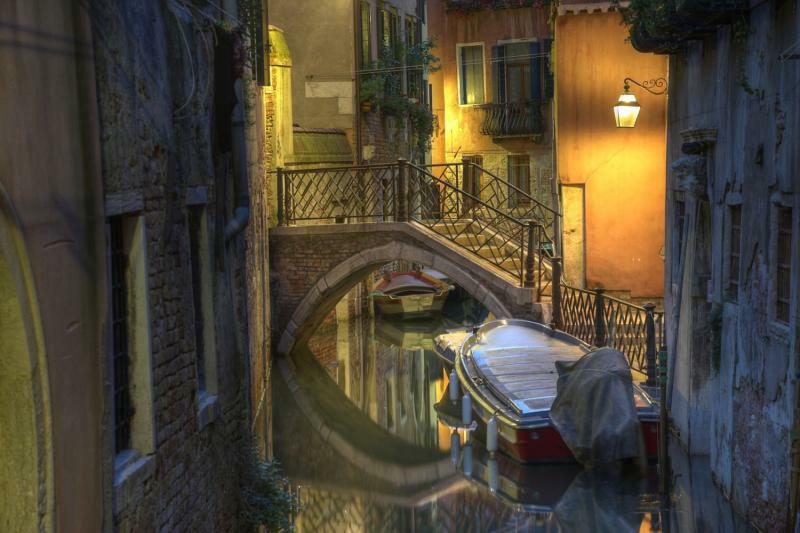 Venice is more than its romantic waterways! There are many hidden treasures to discover in the city of Venice, places where locals go to find spices and other culinary delights and historically significant sites to visit that aren’t on the itinerary of most walking tours. That’s not all! All sorts of wonderful adventures await in the spectacular Veneto region, like exploring the narrow, historic streets of Bassano Del Grappa at the foothills of the Dolomite mountains and tasting the local brandy called (of course!) Grappa. Venice is a cultural treasure trove, with incredible examples of art and architecture preserved for all to enjoy generations after they were created. Our Small Group Doges Palace Tour immerses travelers in fine examples of both art and architecture from ages past (with skip-the-line tickets) and offers plenty of fascinating information not only about the technical expertise of the artists and artisans, but also plenty about the intrigue and drama that took place here long ago. Avventure Bellissime’s Original Venice Walk is a fantastic introduction to other must-see destinations like St. Mark’s Basilica, Marco Polo’s House, and the Bridge of Sighs. You won’t believe where you’ll see works by some of the world’s greatest artists like Giorgione, Titian, and Tintoretto to name only a few. Additionally, Venice and its lagoon are one of Italy’s many UNESCO World Heritage Sites. Wonderful wine tours and other day trips. Venice is a great location from which to enjoy a variety of exceptional Italy day tours. Hospitality, history, and renowned winemaking skills combine to make our Prosecco Wine Region tour a memorable addition to any Italian holiday itinerary. Other popular day trips from Venice include a rendezvous in Ravenna or some adventure in the spectacular Dolomite Mountains. In addition to its legendary canals, historic architecture, and incredible art and culture, Venice boasts expansive stretches of elegant beachfront. The local beaches include a combination of paid access waterfront properties and free public beaches. Those you have to pay admission to enjoy -- like the very popular Venice Lido -- are equipped with a variety of amenities, ranging from your choice of an umbrella and reclining chair to charming seaside cabanas (called capannas in Italian) you can rent. Free beaches are a favourite with locals and travelers alike who don’t mind the crowds on beautiful warm days. The Dune degli Alberoni has bathrooms and shower facilities. And after a day enjoying the view from the shore, you can enjoy some authentic Venetian Italian cuisine and a glass of wine. While Venice tops lists of romantic getaway destinations, it may surprise you to learn that Venice is a very family friendly holiday spot. Little ones enjoy walking the streets of the city, relaxing in the squares and parks, and of course a day at the beach is always enjoyable for all ages. Tours of the Grand Canal are always popular with young and old (not just couples!) and pre-teens and teens won’t moan if you offer to take them on our Original Venice Ghost & Legends Walking Tour -- but they might scream! Ready to learn more about the wide variety of options available for a sojourn in Venice? Plan your exciting getaway to Venice with us by visiting Avventure Bellissime online now to build your very own Venice, Italy vacation packages.